Is this for power bank or other my small accessories? 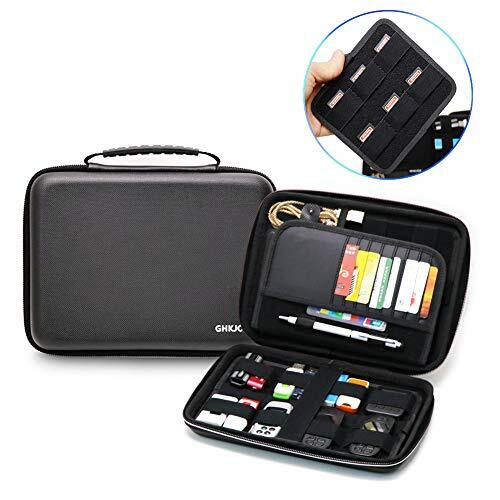 Yes, it is a power bank case / hard drive case / usb flash drive case / gps case / credit card case / phone case / cable case. Very nice to organize the small things and giving a best protection. Is this shockproof and waterproof? Yes, it has an EVA Hard Exterior and soft interior, which prove that is has a protection when shock and also resist the water and other damages outside. Is it a big case and is it convenient? Yes, it is a big case with an external size of 23 x 18 x 4.6cm, and also it comes with a handle allowing to carry everywhere. Satisfactory Service: If you're not satisfied with the product, return it back and get full refund or a replacement for any reason! If you have any questions about this product by Elvam, contact us by completing and submitting the form below. If you are looking for a specif part number, please include it with your message.